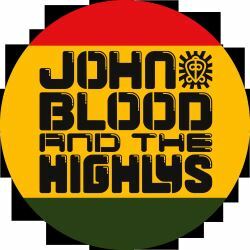 John Blood & The Highlys is a Reggae band based in North London. We've been playing for eight years and we write, play and produce original reggae music that focuses on the reality of society. We've performed at London venues such Passing Clouds, Cargo, The Hootenanny, Styx, Dalston Rooftop Gardens and The Finsbury to name a few, as well as festivals such as Secret Garden Party, Crystal Palace Overground and One Love Reggae Festival. You can hear our recently released mixtape entitled "What It Is". You can listen to and download it on our website (www.thehighlys.com) or here on spotify (https://open.spotify.com/album/6JcpuEocPnenems52oH26K).